Squire’s Italian Restaurant and Catering has offered Dundalk and Baltimore authentic and delicious Italian cuisine for over 65 years! 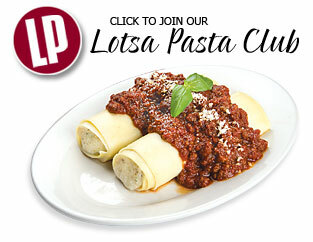 We provide you and your family with abundant food that is accurately prepared, fairly priced, and served with a smile. Our recipes have been passed down for generations and each meal is made with the freshest and most flavorful ingredients. From our housemade pastas & sauces, hand tossed pizza, to steaks, crabcakes and chops, everyone will find something to enjoy at Squire’s. Eat in, carry out, delivery or catering - think of Squire’s Italian Restaurant and Catering because we are always thinking of you! 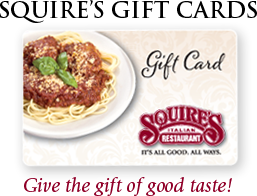 Call Squire’s at 410-288-0081 today! Open 11:00am daily.